Indianapolis Colts owner Jim Irsay was watching the Super Bowl in his private lodge last night when an unusual figure came storming in. Pierre Gauthier: Mr. Irsay! I came as fast as I could. Irsay: Who the hell are you? Gauthier: Mr. Irsay my name is Mr. Gauthier. I'm the general manager of the Montreal Canadiens. Irsay: What the hell are you doing here? I think you can see I'm a bit busy. Gauthier: Mr. Irsay, I know the situation you're in. I've been there and I can help you through it. Irsay: Can someone tell me what in heaven's meadows this lip quivering quail is talking about? Gauthier: Mr. Irsay it's about Mr. Manning. He's just so great. Gauthier: No, no, you think I'm talking about Mr. Manning. I mean Mr. Manning. Irsay: Can someone please throw this fumbling clown off this here ledge and let me enjoy this damn game? Gauthier: Mr. Irsay let me explain. I too had to decide if I would sign my best player to a contract despite his uncertain medical condition. Gauthier: Take for example my player, Mr. Markov. He had 2 torn ACL's, a slashed left ankle, bursitis, arthritis, migraines in his toes, chicken pox and earlobe polio. Irsay: Woooo! Sounds bad. Whatchya do about it? Gauthier: The only thing I could do. I signed him to a 17.25-million dollar 3-year contract. 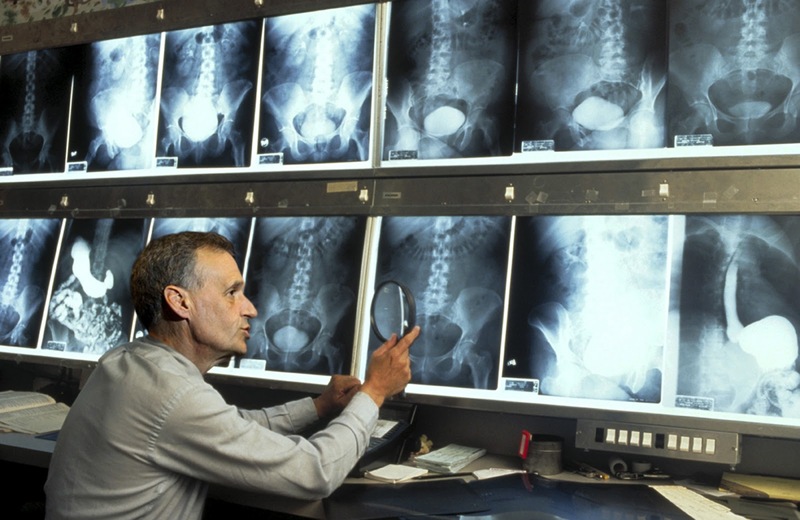 Gauthier: Listen, Mr. Irsay, I checked the x-rays myself. Now I've never been to medical school, I never even played a doctor on TV but I think it's safe to say that if you look at a guy's x-rays and you can see bones, you've got a sure thing on your hands. Irsay: But what did team doctors say? Gauthier: Who? So, so it's like I said. You gotta take a look at Mr. Manning's x-rays. If you see bones, you're good. Irsay: I'm gonna have to pay Peyton a 25-million dollar bonus on March 8 if I want to keep him. Gauthier: That's crazy!!! I would have killed for that kind of bargain. Now you have to do it. Irsay: Are you sure you're feelling alright son? Do you understand how banged up my Peyton is? Do you know what a one level cervical neck fusion is? Gauthier: Can't be as bad as the paper cut I had last week. Man that thing hurt!!! I'd never sign a player with a history of paper cuts! Irsay: The guy broke his neck and had surgery on it and he plays in the National Football League. Gauthier: Sounds to me like you hit the jackpot! It's like Mr. Santa came early! Irsay: What if he plays and breaks his neck again and never walks again, let alone play football. Gauthier: Then you sign him to an extension. Gauthier: That's freaky luck and you don't mess around with that kind of karma. You get to the hospital and you sign him to an extension right there on the hospital bed. Gauthier: Look, Mr Irsay, it's like my Mr. Dad always said: "Son, you were never my favourite child." Irsay: What's going on now with your guy Markaff or Morkoff or whatever. Gauthier: Mr. Markov? Oh he's doing great. He hasn't played a single game in nearly 2 years, he just had another surgery on his knee that may cancel out this season. He's waaaay ahead of schedule. But that's not the best thing. You know what the best thing is? Irsay: I don't wanna know. Gauthier: It's an incentive loaded contract. Gauthier: Yup! If Mr. Markov doesn't play all year that 10-million dollar disability clause kicks in!!!! HF4, You never cease to amuse. Very funny, but insurance for hockey players is going to become an issue, which for once should work in our favor. @Steve: Insurance is not usually the fish food. Sometimes teams tend to sleep while hitting the caps lock key. Brown. Plastic.